Launched in July 2012 and born out of DreamWorks Animation, Ptch’s iPhone app platform allows users to quickly and easily compose multimedia mash-ups up to 60 seconds in length using photos, videos and music from their iPhones and social feeds. The Paranormal Activity style gives users the ability to create found footage inspired vignettes with their iPhone camera through exclusive filters, creepy sounds and bone-chilling images into their Ptches. The Paranormal Activity style automatically recognizes if clips and images are shot in the daytime or at night, and integrates the appropriate filter. The style seamlessly integrates the jump cuts, graininess, and terrifying images from the film franchise, into users’ Ptches, to create frighteningly textured vignettes from their photos and videos. These ptches can be easily shared with friends on Ptch and other social networks such as Facebook, Twitter and Google+. 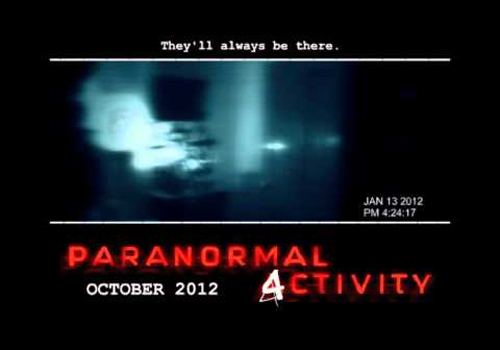 The app also provides links for users to purchase films from the Paranormal Activity franchise.